Long Beach Honda is excited to offer this fantastic 2019 Honda CR-V. 2019 Honda CR-V Platinum White Pearl LX 4D Sport Utility, 2.4L I4 DOHC 16V i-VTEC, CVT, FWD, Ivory w/Cloth Seat Trim. 26/32 City/Highway MPGHere at Long Beach Honda, we focus on creating lifetime customers and on listening to you. We don t just want one car sale; we want you to enjoy your experience so much that you keep coming back! So let s get started! Browse our online inventory, get more info about vehicles, or set up a test drive! Long Beach Honda is pleased to offer this attractive 2019 Honda CR-V. 2019 Honda CR-V Basque Red Pearl II LX 4D Sport Utility, 2.4L I4 DOHC 16V i-VTEC, CVT, FWD, Gray w/Cloth Seat Trim. 26/32 City/Highway MPGHere at Long Beach Honda, we focus on creating lifetime customers and on listening to you. We don t just want one car sale; we want you to enjoy your experience so much that you keep coming back! So let s get started! Browse our online inventory, get more info about vehicles, or set up a test drive! Long Beach Honda is pleased to offer this wonderful 2019 Honda CR-V. 2019 Honda CR-V Crystal Black Pearl LX 4D Sport Utility, 2.4L I4 DOHC 16V i-VTEC, CVT, FWD, Black w/Cloth Seat Trim. 26/32 City/Highway MPGHere at Long Beach Honda, we focus on creating lifetime customers and on listening to you. We don t just want one car sale; we want you to enjoy your experience so much that you keep coming back! So let s get started! Browse our online inventory, get more info about vehicles, or set up a test drive! Long Beach Honda is excited to offer this good-looking 2019 Honda CR-V. 2019 Honda CR-V Platinum White Pearl LX 4D Sport Utility, 2.4L I4 DOHC 16V i-VTEC, CVT, FWD, Ivory w/Cloth Seat Trim. 26/32 City/Highway MPGHere at Long Beach Honda, we focus on creating lifetime customers and on listening to you. We don t just want one car sale; we want you to enjoy your experience so much that you keep coming back! So let s get started! Browse our online inventory, get more info about vehicles, or set up a test drive! Long Beach Honda is pleased to offer this handsome 2019 Honda CR-V. 2019 Honda CR-V Crystal Black Pearl LX 4D Sport Utility, 2.4L I4 DOHC 16V i-VTEC, CVT, FWD, Black w/Cloth Seat Trim. 26/32 City/Highway MPGHere at Long Beach Honda, we focus on creating lifetime customers and on listening to you. We don t just want one car sale; we want you to enjoy your experience so much that you keep coming back! So let s get started! Browse our online inventory, get more info about vehicles, or set up a test drive! Long Beach Honda is very proud to offer this handsome-looking 2019 Honda CR-V. 2019 Honda CR-V Basque Red Pearl II LX 4D Sport Utility, 2.4L I4 DOHC 16V i-VTEC, CVT, FWD, Gray w/Cloth Seat Trim. 26/32 City/Highway MPGHere at Long Beach Honda, we focus on creating lifetime customers and on listening to you. We don t just want one car sale; we want you to enjoy your experience so much that you keep coming back! So let s get started! Browse our online inventory, get more info about vehicles, or set up a test drive! Long Beach Honda is pumped up to offer this great-looking 2019 Honda CR-V. 2019 Honda CR-V Modern Steel Metallic LX 4D Sport Utility, 2.4L I4 DOHC 16V i-VTEC, CVT, FWD, Black w/Cloth Seat Trim. 26/32 City/Highway MPGHere at Long Beach Honda, we focus on creating lifetime customers and on listening to you. We don t just want one car sale; we want you to enjoy your experience so much that you keep coming back! So let s get started! Browse our online inventory, get more info about vehicles, or set up a test drive! Long Beach Honda is honored to offer this outstanding 2019 Honda CR-V. 2019 Honda CR-V Modern Steel Metallic LX 4D Sport Utility, 2.4L I4 DOHC 16V i-VTEC, CVT, FWD, Black w/Cloth Seat Trim. 26/32 City/Highway MPGHere at Long Beach Honda, we focus on creating lifetime customers and on listening to you. We don t just want one car sale; we want you to enjoy your experience so much that you keep coming back! So let s get started! Browse our online inventory, get more info about vehicles, or set up a test drive! Long Beach Honda is delighted to offer this gorgeous 2019 Honda CR-V. 2019 Honda CR-V Modern Steel Metallic LX 4D Sport Utility, 2.4L I4 DOHC 16V i-VTEC, CVT, FWD, Black w/Cloth Seat Trim. 26/32 City/Highway MPGHere at Long Beach Honda, we focus on creating lifetime customers and on listening to you. We don t just want one car sale; we want you to enjoy your experience so much that you keep coming back! So let s get started! Browse our online inventory, get more info about vehicles, or set up a test drive! Long Beach Honda is delighted to offer this beautiful-looking 2019 Honda CR-V. 2019 Honda CR-V Modern Steel Metallic LX 4D Sport Utility, 2.4L I4 DOHC 16V i-VTEC, CVT, FWD, Black w/Cloth Seat Trim. 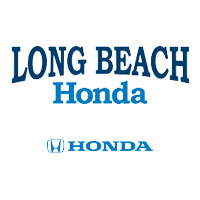 26/32 City/Highway MPGHere at Long Beach Honda, we focus on creating lifetime customers and on listening to you. We don t just want one car sale; we want you to enjoy your experience so much that you keep coming back! So let s get started! Browse our online inventory, get more info about vehicles, or set up a test drive! Long Beach Honda is very proud to offer this outstanding-looking 2019 Honda CR-V. 2019 Honda CR-V Platinum White Pearl LX 4D Sport Utility, 2.4L I4 DOHC 16V i-VTEC, CVT, FWD, Ivory w/Cloth Seat Trim. 26/32 City/Highway MPGHere at Long Beach Honda, we focus on creating lifetime customers and on listening to you. We don t just want one car sale; we want you to enjoy your experience so much that you keep coming back! So let s get started! Browse our online inventory, get more info about vehicles, or set up a test drive! Long Beach Honda is proud to offer this superb 2019 Honda CR-V. 2019 Honda CR-V Crystal Black Pearl LX 4D Sport Utility, 2.4L I4 DOHC 16V i-VTEC, CVT, FWD, Black w/Cloth Seat Trim. 26/32 City/Highway MPGHere at Long Beach Honda, we focus on creating lifetime customers and on listening to you. We don t just want one car sale; we want you to enjoy your experience so much that you keep coming back! So let s get started! Browse our online inventory, get more info about vehicles, or set up a test drive! Long Beach Honda is very proud to offer this fantastic-looking 2019 Honda CR-V. 2019 Honda CR-V Modern Steel Metallic LX 4D Sport Utility, 2.4L I4 DOHC 16V i-VTEC, CVT, FWD, Black w/Cloth Seat Trim. 26/32 City/Highway MPGHere at Long Beach Honda, we focus on creating lifetime customers and on listening to you. We don t just want one car sale; we want you to enjoy your experience so much that you keep coming back! So let s get started! Browse our online inventory, get more info about vehicles, or set up a test drive! Long Beach Honda is delighted to offer this good-looking 2019 Honda CR-V. 2019 Honda CR-V Obsidian Blue Pearl LX 4D Sport Utility, 2.4L I4 DOHC 16V i-VTEC, CVT, FWD, Gray w/Cloth Seat Trim. 26/32 City/Highway MPGHere at Long Beach Honda, we focus on creating lifetime customers and on listening to you. We don t just want one car sale; we want you to enjoy your experience so much that you keep coming back! So let s get started! Browse our online inventory, get more info about vehicles, or set up a test drive! Long Beach Honda is proud to offer this terrific 2019 Honda CR-V. 2019 Honda CR-V Lunar Silver Metallic LX 4D Sport Utility, 2.4L I4 DOHC 16V i-VTEC, CVT, FWD, Gray w/Cloth Seat Trim. 26/32 City/Highway MPGHere at Long Beach Honda, we focus on creating lifetime customers and on listening to you. We don t just want one car sale; we want you to enjoy your experience so much that you keep coming back! So let s get started! Browse our online inventory, get more info about vehicles, or set up a test drive! Long Beach Honda is very proud to offer this outstanding-looking 2019 Honda CR-V. 2019 Honda CR-V Modern Steel Metallic LX 4D Sport Utility, 2.4L I4 DOHC 16V i-VTEC, CVT, FWD, Black w/Cloth Seat Trim. 26/32 City/Highway MPGHere at Long Beach Honda, we focus on creating lifetime customers and on listening to you. We don t just want one car sale; we want you to enjoy your experience so much that you keep coming back! So let s get started! Browse our online inventory, get more info about vehicles, or set up a test drive! Long Beach Honda is very proud to offer this great 2019 Honda CR-V. 2019 Honda CR-V Basque Red Pearl II LX 4D Sport Utility, 2.4L I4 DOHC 16V i-VTEC, CVT, FWD, Gray w/Cloth Seat Trim. 26/32 City/Highway MPGHere at Long Beach Honda, we focus on creating lifetime customers and on listening to you. We don t just want one car sale; we want you to enjoy your experience so much that you keep coming back! So let s get started! Browse our online inventory, get more info about vehicles, or set up a test drive! Long Beach Honda is pleased to offer this charming 2019 Honda CR-V. 2019 Honda CR-V Lunar Silver Metallic LX 4D Sport Utility, 2.4L I4 DOHC 16V i-VTEC, CVT, FWD, Gray w/Cloth Seat Trim. 26/32 City/Highway MPGHere at Long Beach Honda, we focus on creating lifetime customers and on listening to you. We don t just want one car sale; we want you to enjoy your experience so much that you keep coming back! So let s get started! Browse our online inventory, get more info about vehicles, or set up a test drive! Long Beach Honda is very proud to offer this good-looking 2019 Honda CR-V. 2019 Honda CR-V Crystal Black Pearl LX 4D Sport Utility, 2.4L I4 DOHC 16V i-VTEC, CVT, FWD, Black w/Cloth Seat Trim. 26/32 City/Highway MPGHere at Long Beach Honda, we focus on creating lifetime customers and on listening to you. We don t just want one car sale; we want you to enjoy your experience so much that you keep coming back! So let s get started! Browse our online inventory, get more info about vehicles, or set up a test drive! Long Beach Honda is proud to offer this superb 2019 Honda CR-V. 2019 Honda CR-V Platinum White Pearl LX 4D Sport Utility, 2.4L I4 DOHC 16V i-VTEC, CVT, FWD, Ivory w/Cloth Seat Trim. 26/32 City/Highway MPGHere at Long Beach Honda, we focus on creating lifetime customers and on listening to you. We don t just want one car sale; we want you to enjoy your experience so much that you keep coming back! So let s get started! Browse our online inventory, get more info about vehicles, or set up a test drive! *Expires March 25, 2019 Special APR offer valid on new and unregistered 2018 and 2019 Honda Civic and Honda CR-V models to well-qualified buyers on approved credit by Honda Financial Services. Must take new retail delivery on vehicle from dealer stock by March 25, 2019. Not all buyers will qualify. Higher rates apply for buyers with lower credit ratings. No-down-payment financing may be available for well-qualified buyers. Actual down payment may vary. See dealer for details.